The Kation Europa Bt. is located in Hungary, a member country of the European Union (EU). This simplifies ordering procedures and speeds up deliveries with no custom procedures or fees from within the Union without including any value added tax (VAT) from countries other than Hungary. Prices and quality are the same as they are in the US with significantly less shipping fee. Neighboring, non-EU or other Old World countries may also be served from here with no extra charge. However, shipping charges, insurances, sales tax or customs duties (if applicable) are on the buyer. Products sold by Kation Scientific or Kation Europa Bt. are for experimental purposes only that do not involve human subjects. 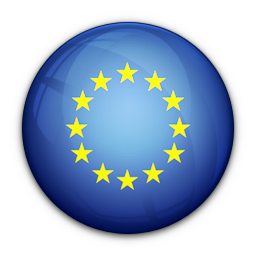 Our EU Community VAT number is: HU21904961. Please provide yours for accounting purposes when ordering. Preferred language is English. Non-institutional or non-EU customers are usually expected to pay in advance using electronic fund transfer. One full year warranty (all countries) and 30-day money back guarantee (EU orders only) provided. Unless the customer requests otherwise, all orders will be shipped by DHL’s EU Express courier service. Transfer time from our F.O.B. point Budapest, Hungary to most European cities is one or two business days. Tracking numbers will be sent by E-mail. Shipping can also be commenced by the state-run postal international Express Mail Service (EMS). Institutional orders from EU countries will be shipped after the receipt of order info including the departmental purchase order (P.O.) number. Invoice will be issued upon shipment and sent by E-mail or traditional mail if requested so. Payment terms: net 30 day by electronic fund transfer. Please provide your institution’s EU Community VAT number when placing an order. Kation Europa Bt. accepts orders from all other, non-EU countries with no additional charges. Shipping charges, insurance, sales tax or custom duties (if applicable) are extra costs and charged on the buyer. Customers outside from the EU are usually expected to pay in advance using electronic fund transfer in US dollars. For more information contact info@kationscientific.com or kations@aol.com. Microelectrode sales are final, no returns are accepted. Electrophysiology instruments and their accessories sold by Kation Scientific/Kation Europa Bt. are warranted against defects in materials and workmanship for one full year from the date of shipment as long as they have been exposed to normal and proper use. Products which prove to be defective during the warranty period will be repaired or replaced without charge provided they are returned to the point of sale. Kation Europa Bt. will provide for servicing and calibration after the warranty period for a reasonable service charge. The instrument should be shipped to the point of sale with postage prepaid. Kation Scientific/Kation Europa Bt. certifies that its instruments have been tested and inspected thoroughly and were found to meet all published specifications before shipment from the factory. For EU customers, products other than microelectrodes are covered with a 30-day money back guarantee. Seller is not liable for any special, incidental, consequential or vis major damages. Do not use products sold by Kation Scientific/Kation Europa Bt. in human medical or experimental purposes. All inquiries and sales transactions are confidential and no information will be given out to third parties without your consent.